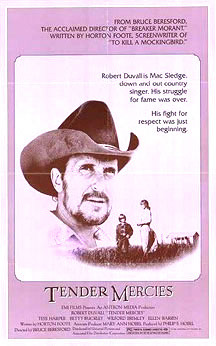 The career of Robert Duvall is a queer one. He’s been in movies for more than 50 years, been a part of some of the greatest movies of all time – The Godfather, Apocalypse Now – and starred in a bunch of others. Despite this, he’s never actually been a star. Sure, he’s had financially successful films, but those seem more a product of the individual film and not Duvall’s ability to open one. After all, of his three most prominent leading roles – The Great Santini, The Apostle and Tender Mercies – only one made any money and that was because it had a modest budget, not because it actually made money. And if we’re honest, the greatest part he ever played – Augustus McRae in Lonesome Dove – was in a TV miniseries, where the viewer had to pay nothing. The truth is, Duvall is the consummate character actor, which is probably the highest compliment an actor can get. After all, he parlayed that into a 50-year career on screen, which is the only thing that matters. I’ve never seen a Fred Astaire/Ginger Rogers pic before this entry – I was aware of their existence, in the way people with a brain are generally aware of things that existed before their time when they’re not brain-dead, but there was never more than awareness. Maybe here or there I’ve seen a clip, or a GIF, but certainly no more. And if we’re honest, I’m not even sure I’ve seen a Ginger Roger’s pic at all, with or without Fred Astaire, and the only Fred Astaire movies I’ve ever seen are ones he made when he was older: Ghost Story, which is more memorable for Alice Krige getting naked in it than for anything Fred Astaire did in it; and The Towering Inferno, which is not memorable for anything. 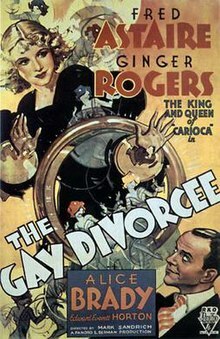 Well, with The Gay Divorcee, all that changed.